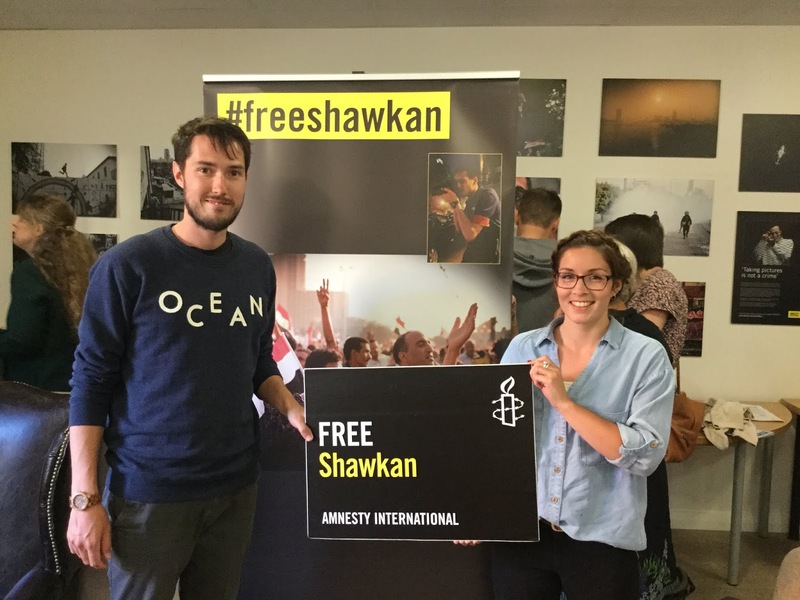 We recently held an exhibition of photographs taken by an Egyptian photo-journalist called Shawkan. He has been in prison for five years, after he took photographs of a protest in Egypt. We launched the exhibition with a special event. Rachael Maskell (Member of Parliament for York Central) and others spoke. The exhibition is part of a world-wide campaign by Amnesty International to raise Shawkan's profile - so as to increase the likelihood that he will be released. Visitors to the exhibition also signed a petition and a letter to the Egyptian government. We held a short story writing competition. You can read the winning story and three runners-up on our short story competition page. Now you can also listen to the stories on our Soundcloud - or download them to listen to later. Dr Zahra Tizro is the guest speaker at our monthly meeting this month at the usual venue - the Friends Meeting House, Friargate, York YO1 9RL. Zahra will speak about Maryam Bidgoli's work and the general situation for human rights defenders in Iran. Maryam campaigned for equality for women. In 2011 she was arrested and imprisoned. 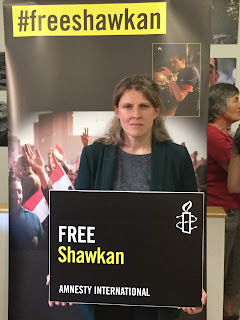 Five years ago, after her release, she spoke at one of our meetings in York. This will be a welcome update on her work and the situation. The meeting takes place on Tuesday 10 July, starts at 7 p.m. with Zahra's talk followed by questions and answers and then continues (from 8 p.m.) with our group's regular business. Everyone is welcome to attend and, if they like, to leave after Zahra's talk.